This is trulely an "oasis in the suburbs" This over sized lap pool is inviting day or night and when you get out you can have a nice warm shower then lounge around enjoying your private space with tropical planting which require little maintenance just remove spent flowers heads and leaves. Low maintenance and tropical! 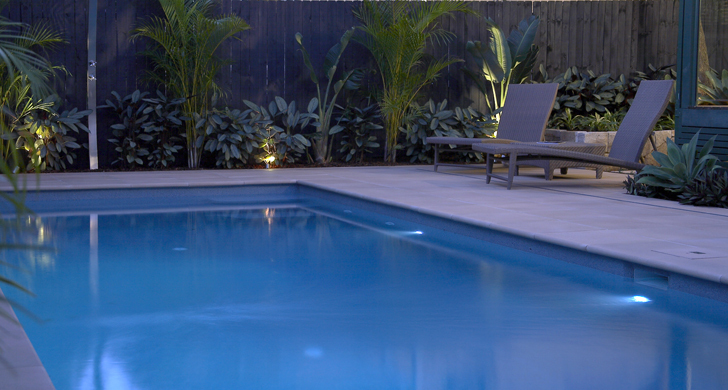 the swimming pool is pristine from the interior to the pool deck with in deck drainage system it will always be dry, what a great space to relax in after a hard day at the office!